Di Mashke, as I’m sure you know, is a Yiddish song that praises whiskey (mashke) as the patron of all good favors– from the night of your conception to the success of your own wedding night. Yes, you can find a copy on iTunes. And in light of your newly-sparked interest in this language, here’s another vocabulary word to remember: koval. While it officially means “blacksmith” it can also be used to refer to the “blacksheep” of one’s family, and it’s the name Sonat and Robert Birnecker chose for their remarkable craft distillery in the spirit of going against the flock. 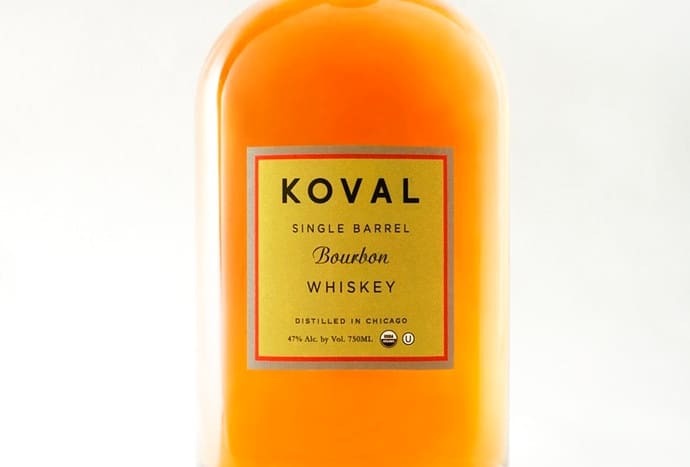 Located in Chicago’s North End, Koval Distillery, the first legal one in the city since Prohibition, is a grain-to-bottle business making all sorts of interesting spirits from beer schnapps to jasmine liqueur. In between they manage to fit in a wide array of worthwhile whiskeys, as well. Today on my table is a bottle of Koval’s Four Grain Whiskey, made from a mash of malted barley, oats, wheat and rye, and aged for about 2 years in a heavily-charred new oak barrel. Like all its other whiskeys, this one is distilled through a 2,000-gallon custom-made Koth Destillationstechnik copper pot from Germany with a unique bell-shape on top that provides more surface area (and more flavor). Robert Birnecker comes from a long line of distillers. As a child in Austria he learned the craft by assisting his grandfather in making various eau de vies and brandies. Since Chicago gangster Al Capone liked a two-finger pour of whiskey on the rocks with a half teaspoon of water on top. I decided to do the same, minus the ice. Color: dark gold. Nose: banana compote. 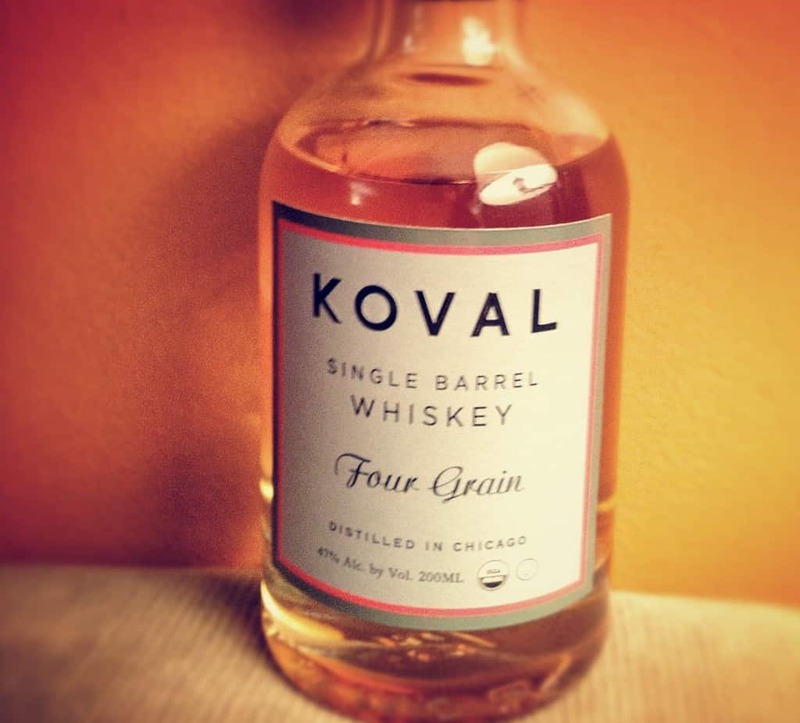 At 94 proof, Koval’s Four Grain Whiskey is a complex yet surprisingly easy-sipping whiskey that’s not only 100% organic, but kosher as well. Yet another reason for bazingen! A bottle averages about $55. You can see if it’s available in your area on their website. Chrys is a writer in the realms of film, TV, and books who credits her three small children for her love affair with whisk(e)y.